Accommodation in Pokolbin, right in the middle of the Hunter Valley is easy to find just navigate to the bottom of our web site and find the link to make a booking. But first you can browse this site for the Future ultimate gift ideas for that special love one. We operate all year round in Pokolbin the Hunter Valley. Stay and enjoy the atmosphere of fine wine and dine in Australia’s fast growing weekend destination getaway ” Pokolbin Hunter Valley”. Australia’s leading Jet Fighter operation has launched another initiative program to bring the people of Sydney to the Hunter Valley to experience the ride of a life time in Australia”s modern L39 Fighter Jet. Jet Flight Australia specialise in the art of formation flying and can take you to the edge of your imagination Top Gun Style in” 2″ L39 Albatros Jet Fighters. This Ride is exclusive to the Hunter Valley, also available is this once in a lifetime gift for that special person in your life. 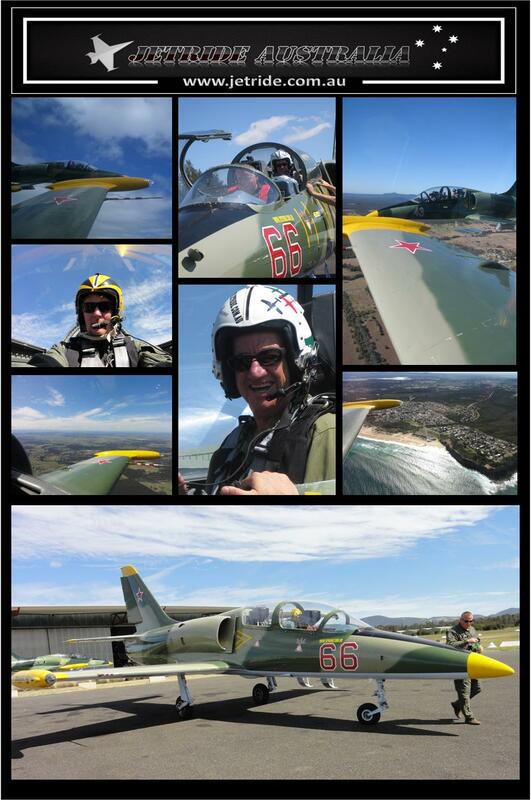 To purchase a ride in our modern Jet Fighter the L39 Albatros. Prices start from $1990, so come and fly the FASTEST RIDE IN THE COUNTRY. Pokolbinis the No”1 “destination for Sydney travelers, as it has Australia’s top class restaurants and accommodation facilities. Situated deep in the Fine Wine and Dine region of the Hunter Valley. Our jet base houses Australia’s finest modern Adventure Jet Fighter, owned and operated by Jet Flight Australia. This family run business operates with the personal touch of an exclusive service providing the ultimate gift idea. From Sydney our Jet Base is only 1.2 hour drive north. Why not try something special and take a Helicopter ride to the door step of the restaurant of your choice. Arrive in style !! and don’t forget the chopper will also pick you up.